A leaky roof or damaged shingles are only the most obvious signs of roof damage. 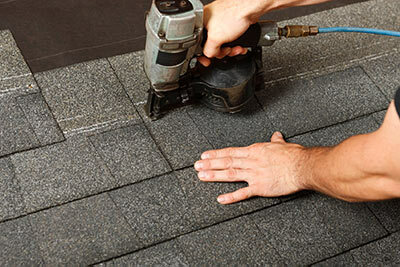 A professional roofer can identify the areas of your roof that need attention and determine the best plan of action. Even when there's no evidence of large roofing problems, it's smart to have your roof inspected every year by an experienced roofing contractor. Another great time to schedule a roof inspection is after a severe storm. By taking care of basic roof maintenance and making minor roof repairs as required, you can avoid roof leaks that can damage your home and ruin your possessions. Whether you are looking to fix a damaged roof, upgrade the look of your home with new roof installation, or replace missing or broken shingles, the expert team of roofers at Scholar Painting of Connecticut can help. Our roofing services are available in and around the Greenwich, Darien, New Canaan area. We only install the highest-quality roofing materials to ensure long-lasting results. Call us at 1-855-234-8952 or contact us online for a free roofing estimate! The functional condition of your roof is obviously your first priority. There are various reasons for a new roof, but many homeowners elect to have new roofing installed before the old roofing wears out, simply because a new roof can really upgrade a home's appearance. As experienced, professional Connecticut roofing contractors, we can help you decide if roof replacement or installation makes sense for your needs and budget. The professionals at Scholar Painting can assess the condition of your roof and determine any early signs of roof failure. Contact us today for a free cost estimate in CT, including Weston, Stamford, Riverside, Old Greenwich, Westport, Wilton, Cos Cob, and surrounding areas.